Kayaking the beautiful lakes of New Hampshire restores the body and rejuvenates the soul. With 273 pristine lakes and ponds in the Lakes Region, it’s a kayaker’s dream. And it’s the perfect time to plan a getaway. The days are still warm and sunny, but without the summer crowds. Make The Lake House at Ferry Point Inn your quiet retreat and kayak the local waterways, starting with the lake right outside our door. We’re the only lakefront bed and breakfast in New Hampshire’s Lakes Region. Wake up to idyllic views of Lake Winnisquam every morning. After a gourmet breakfast, simply step out to the lake and begin the day with a morning paddle. We have several kayaks for our guests. Book your stay with us today for an unforgettable kayaking vacation. One could kayak here for years and not explore all the lakes and waterways. Not to mention a landscape that has no equal, with distant mountains, mature forests and abundant wildlife. Lake Winnipesaukee, Winnisquam, Newfound, and Ossipee draw many kayakers to their shores. However, there are several other lakes worth exploring. The classic movie “On Golden Pond’’ chose Squam Lake as its location because of its unmatched beauty and serenity. Additionally, its calm, clear waters and stunning views make it the best kayaking spot in the state. The 6.5 mile long lake dotted with 67 mostly unnamed islands, makes for a fascinating day of exploration. Saltmarsh Pond – This pond has an undeveloped shore with several small hills in the background. Merrymeeting Marsh – Wind through this 4 mile marsh, with tall grasses, islands and wildlife. Gilman Pond – Steep hills on the northeast bank makes for a great view while paddling. The western shore also has the remains of a historic dam and mill. 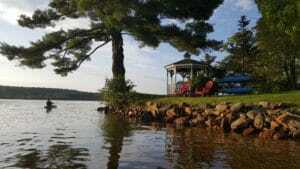 Wickwas Lake – Loons may join you on your trip through this lovely lake with marshes, streams and islands. Garland Pond – Located within a wildlife refuge, so it’s a great spot to view local birds and other animals. Lake Waukewan – This small lake with many loons is located right in Meredith. White Oak Pond – Abundant wildlife make their home in the marshes of this charming pond. Pemigewasset Lake – This pleasant, quiet lake is located between Meredith and New Hampton. EKAL Activities Center at Mill Falls – Located in Meredith on the shores of Meredith Bay, with easy access to Lake Winnipesaukee. 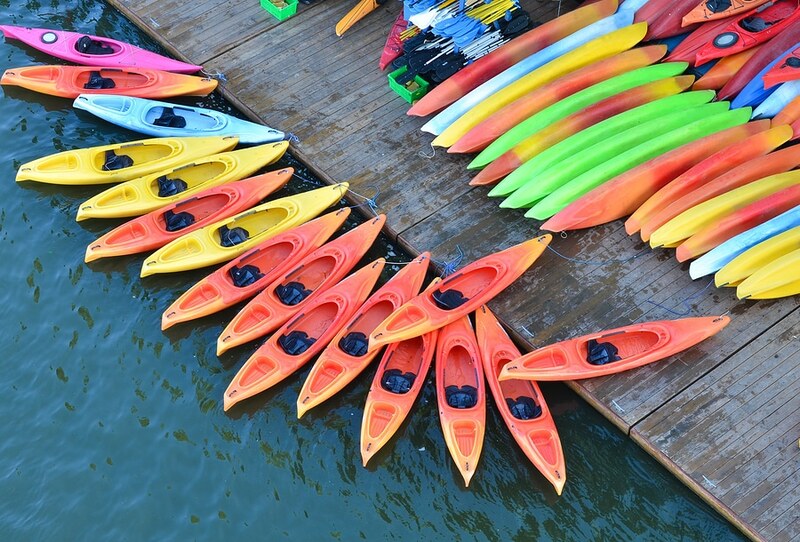 Their rental fleet includes over 50 canoes, kayaks and stand up paddle boards. 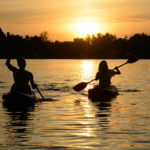 Wild Meadow Paddlesports – Their instructors will have you equipped and ready to kayak the shores of Lake Winnipesaukee. Glide through the clear waters with the Squam and Ossipee Mountain ranges in the distance. Outdoor Escapes New Hampshire, LLC – They offer half-day or full-day guided canoe and kayak tours designed for all experience levels and abilities. 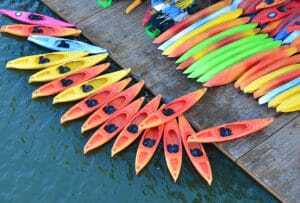 The Squam Lakes Association (SLA) – The SLA resource center rents canoes and kayaks to the public and staff is available to teach basic skills for a successful day on the water. Winnisquam Marine – A friendly local marina that also rents kayaks, paddleboards, and canoes. After a day of exploring the stunning lakes of our region, return to the Lake House at Ferry Point Inn. Watch the sunset over Lake Winnisquam from our lovely garden gazebo or big front porch. Reserve your room with us today and plan your kayaking getaway at our serene lakefront location.